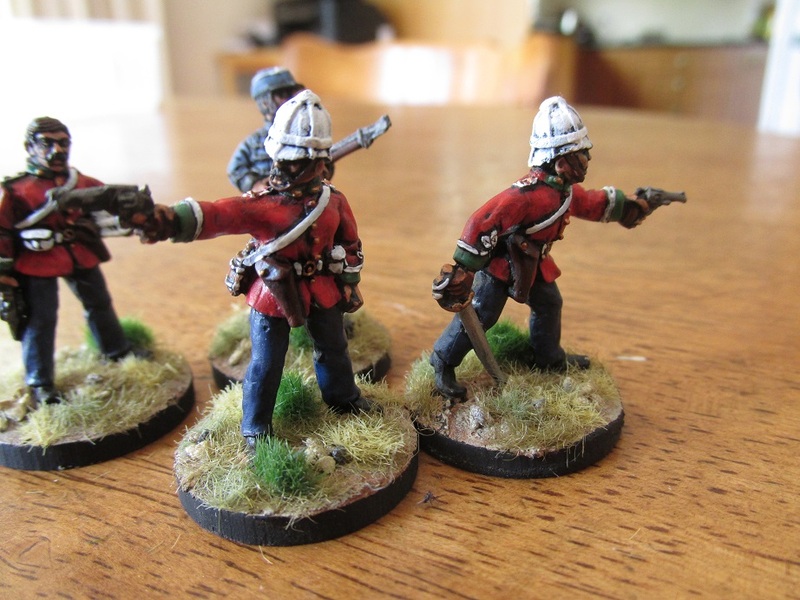 Zulu Wars: Some British Officer types. 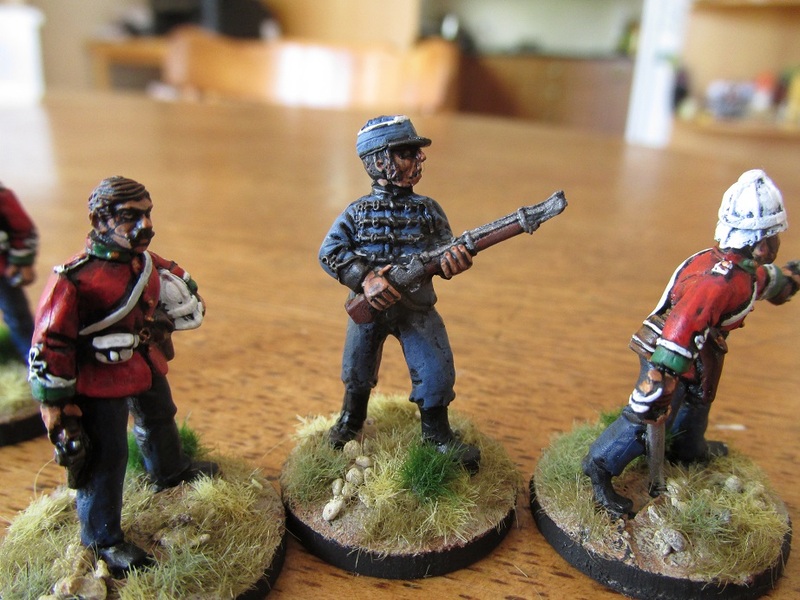 A few British Officers to lead their men against the Zulu hordes. 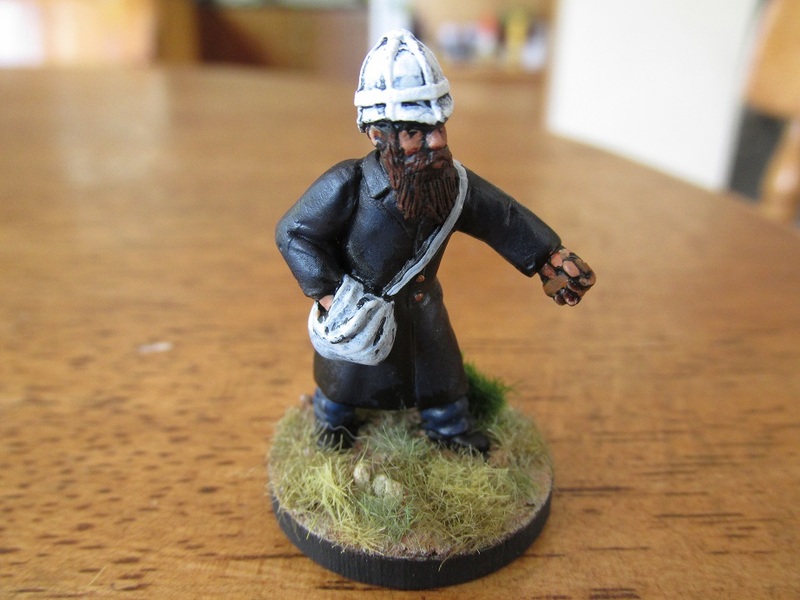 All are Black Tree Designs apart from a solitary Redoubt Miniature. 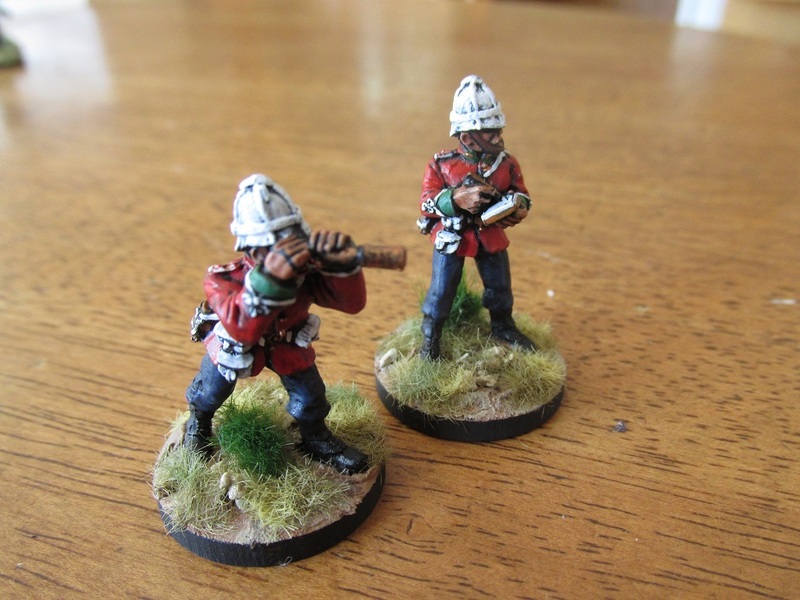 Not the best photos – just done on the kitchen table. Chaplain Smith handing out ammunition. A Black Tree figure. Black Tree Heliograph crew, without their heliograph because I cannot find it. 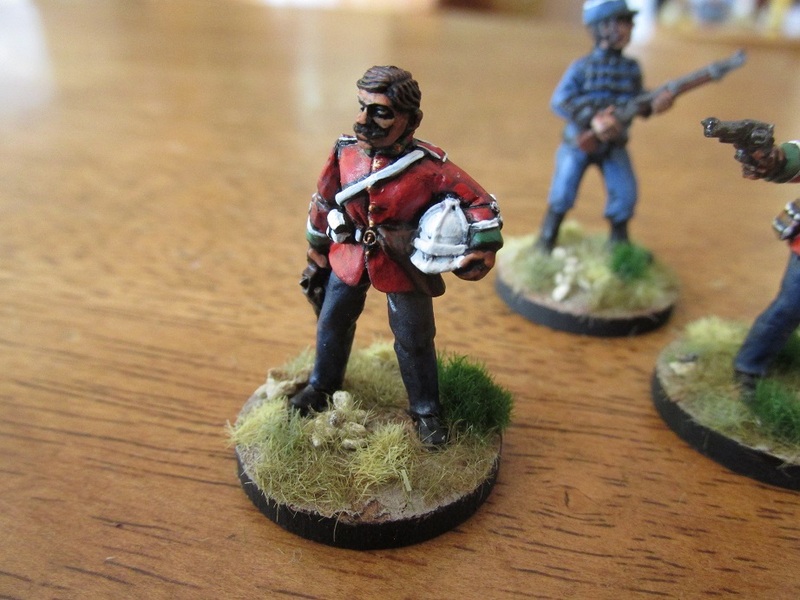 I am very much looking forward to seeing a game with the finished product, and these guys will look great.